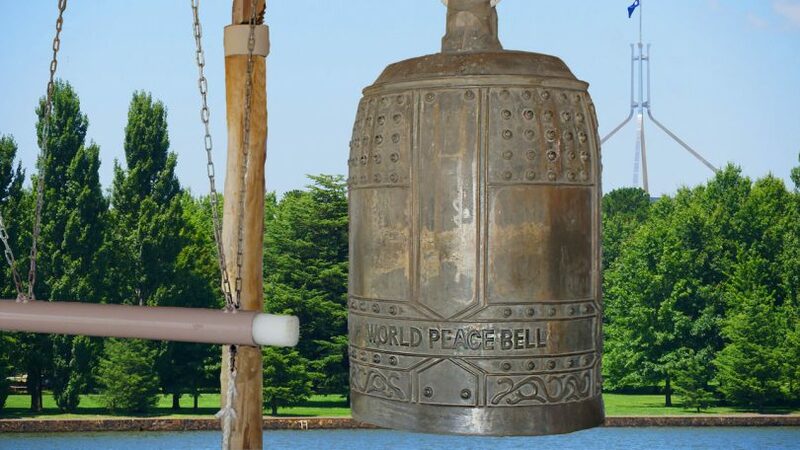 A mockup of the World Peace Bell Pavilion at Canberra Nara Peace Park. Photo supplied by the Canberra Rotary Peace Bell Project. Illustration by pavilion designer, Lauren Kasparek. 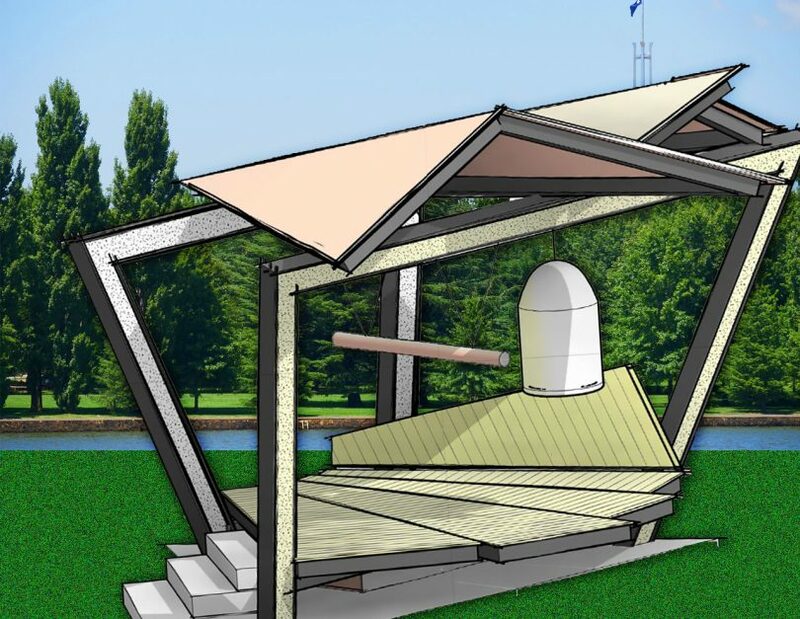 Canberra will have its own World Peace Bell and pavilion on the shores of Lake Burley Griffin by the end of the year and the call is going out for organisations wishing to hold ceremonies involving the bell. The Canberra community has raised a total of $110,000 to date for the project – surpassing the $100,000 target set. 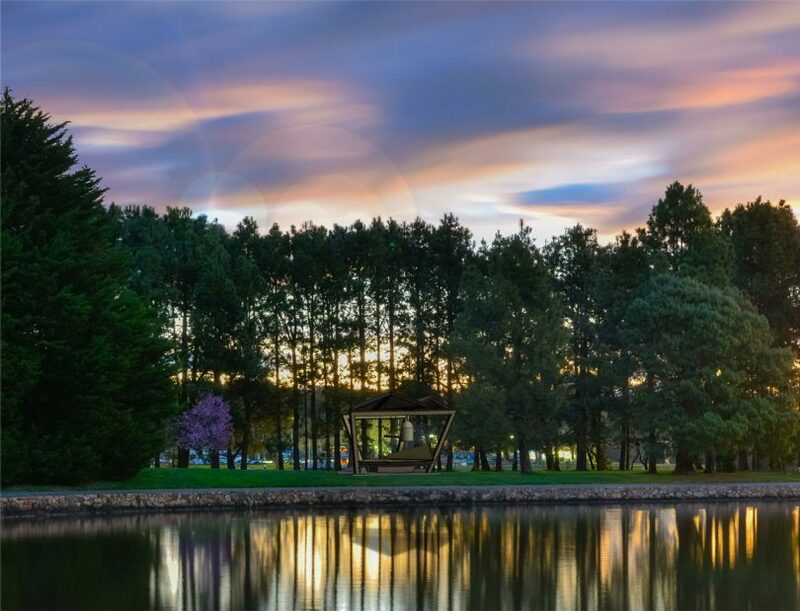 This means work will be able to start in the next two weeks on building the pavilion to house the peace bell in the Canberra Nara Peace Park. The official opening of the project is to be held on February 23 next year to coincide with World Rotary Day and the 90th anniversary of when Rotary came to Canberra. However, project organisers want the community to be involved and to hear the bell ringing at many other times of the year as well. “The Rotary Club would like to see many cultural, religious and national ceremonies conducted at the bell to commemorate past events,” said Canberra Rotary Peace Bell Project Co-ordinator, Michael Rabey. “We are wanting to fill a calendar with special ringing events,” he said. Some of the events already on the calendar for bell ringing ceremonies include World Peace Day in September, Armistice Day on November 11, the anniversary of the Bali bombing, the anniversary of the tsunami in Japan and the Canberra Nara Candle Festival on October 28. Mr Rabey said the project provides a symbolic way for Canberrans to come together to focus on the need for peace and to reflect on the harm caused by all levels of conflict – from wars to domestic violence. “This will give the people of Canberra an opportunity to be reminded of the importance of being careful and of being peaceful. It will also remind all the politicians and all the countries that have representatives in Canberra of the need to be careful. “There are so many things that could cause great conflict,” he said. Mr Rabey said that since the end of Second World War there has continued to be “blood spilt” and “it has got to stop”. Canberra is only the second place in Australia to have a World Peace Bell, with the other being in Cowra. The Rotary Club of Canberra Burley Griffin has been working on the project in partnership with the World Peace Association since May 2014. A mockup of the Peace Bell and hammer in its new location. Photo supplied by the Canberra Rotary Peace Bell Project. The World Peace Bell itself arrived in Canberra in January last year but has been held in storage at the Australian War Memorial annexe in Mitchell while funds have been raised to build the pavilion to house it. The pavilion has been designed by Lauren and Fred Kasparek. Lauren is an architectural student at the University of Canberra while her father, Fred Kasparek, has been a practising architect for over 28 years in Canberra. The design has been based on the traditional Japanese fan, an object that has strong symbolism in Japan where the World Peace Bell originates from. The first Peace Bell was cast in 1952 and donated by the Japanese people to the United Nations on June 8, 1954. An illustration of the World Peace Bell and Pavilion. Image supplied by the Canberra Rotary Peace Bell Project. Illustration by pavilion designer, Lauren Kasparek. The symbolism can be seen in the roof design which fans out from an apex (representing the beginning of life) to the view out. The ribs of the fan are represented in the ridges and valleys (symbolising the different roads of life) on the roof. Any groups or organisations interested in holding a ceremony involving ringing the bell at the Canberra Nara Peace Park should email secretary@rccbg.org or go to the contact section of the Canberra Peace Bell website at https://canberrapeacebell.org/. The types of occasions or events which would be appropriate are fairly broad, but Mr Rabey said they should be within the parameters of the peace poem on the website, found by clicking here. What do you think about having a World Peace Bell in Canberra? Do you see benefits in enabling more deliberate reflection on the need for peace? Is this something your group or organisation might get involved in? Let us know your thoughts in the comments below. While I find the design of the pavilion acceptable it will be found unacceptable by the authorities because there are no hand railings on the steps and now balustrade to enclose the platform which appears to be sloping which is another hazard.